If any government cover-ups occur, or some shady politics come to the forefront of the media, you can bet that Oliver Stone is writing notes on his adaptation of it all. It is no surprise, therefore, to see him helming the new film about Edward Snowden – the NSA agent who leaked information about the government surveillance. Stone is such a politically-charged individual, that his passion and knowledge of that side of things can really make for great cinema. Snowden is no different – and a glorious return for the filmmaker who has been out of touch of late – a cautionary, gripping tale about what’s going on around us 24/7, without many of us realising. Kieran Fitzgerald and Stone’s screenplay smoothly runs through the course of the eponymous man’s life, from his early stages in the Special Forces, the CIA, and onto working with the most top secret information. It runs at a steady course, stitched together with interview moments with the Guardian that largely bookend the narrative. The structure serves the film well as, by the end, the tension is amped up slightly, and even the most minute movements have you clenched up in your seat. Solidifying everything good about Snowden largely rests on the shoulders of the star, Joseph Gordon-Levitt. Speaking with a quiet, low, and confident voice, Gordon-Levitt is very different to how we’ve seen him before. Not only is he quieter, he’s slower – neatly becoming Snowden from the get-go. Whereas we’re used to seeing him run, and occasionally dance, around on screen, his energy is very much wiped away in favour of a very subdued performance. 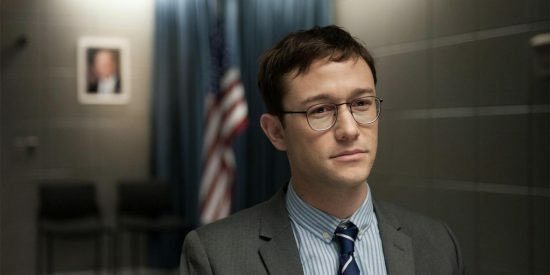 He shares the majority of his screen time with Shailene Woodley, giving a very assertive performance as Snowden’s messed-about girlfriend, trying to form some normality around the chaos of what Snowden is learning about each day. As is the case with most Stone films, the ensemble is very impressive. This film sees him casting Nicolas Cage, Rhys Ifans, Scott Eastwood, Melissa Leo, Zachary Quinto, and Tom Wilkinson. Ifans, specifically, brings a quiet menace to the film, akin to Tommy Lee Jones in JFK – a powerful man with a lot to hide. The film centres around this theme of hiding, but nothing feels brushed over. Stones is quite clearly adamant on showing you the conniving aspects of the secretive surveillance. You come out of the film feeling like you’ve learned a fair bit, and given you a leg up in your pub politics. 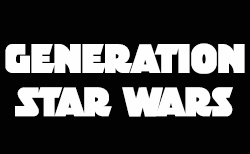 Had this been a documentary, you would have learned more, albeit, but the realm of entertainment is better off from having this dramatisation.